Welcome to language-easy.org and this article about German demonstrative pronouns. Well, by having a click on this article, you have entered the depths of German Grammar. So, once you master German demonstrative pronoun, you gain the ability to express yourself in a highly detailed manner. Furthermore, you need this kind of pronouns to refer exactly to what is being talked about. So, German demonstrative pronouns are used to point out, emphasize or distinguish something within a sentence. By the way, demonstrative pronouns are used in the same in the English language. Of course, you can use them for people, animals, things or plants, ideas, events… Simply to whatever you want to refer. Just keep in mind that you have to adapt forms and endings! In the following, we will focus on the different forms of the most common German demonstrative pronouns and specify their correct use. So, without loosing too much time – let’s start right ahead! First of all, let’s talk about something which will probably appear quite familiar to you. Well, everyone of you has heard about “der, die, das“? Exactly, these are the German definite articles. So, these words not only represent articles, they can also used as German demonstrative pronouns. Of course, with these pronouns you can describe situation, people, things or whatever you want. In most cases, these things have happened in a previous situation. So, as I already mentioned, this idea of demonstrative pronouns also appears in the English language. Therefore, the rules should be easy for you, as they are similar to the rules in English. Well, let’s have a look at some examples which illustrate what I was talking about. “Wie findest du mein neues Bild? Das ist so schön!” – How do you like my new picture? It’s so nice! “Wer is die Frau? Die kenne ich nicht.” – Who is this woman? I don’t know her. Actually, it is quite easy to use this kind of German demonstrative pronouns. Well, you just have to remind to decline them. So, that means that you have to adapt their forms to gender, case and number. But don’t worry too much about difficult forms of German demonstrative pronouns. Luckily, the declension of demonstrative pronouns is equal to the one of German relative pronouns. In case you want to refresh your knowledge about relative pronouns, just click on the link and you will be redirected to the article about German relative pronouns. Anyway, I’d like to show this table with different forms of German demonstrative pronouns. So, you will see form in different cases, number and gender. Please, try to remember these forms as remembering them makes it a lot easier to form the correct sentences. After clearing up the forms of “Der, Die, Das” as a German demonstrative pronoun, let’s come to the next one. Well, it is actually is common as the first ones and you will see, that it’s not that difficult either. So, I’d like to talk about this important German demonstrative pronoun, “Dieser”. Well, it direct translation would be “this” or “this one”. Of course, “dieser” is the masculine singular form of the nominative case. Logically, “diese” would be feminine and “dieses” the neutral form. Now, let’s form some example phrases to illustrate what I just told you. “Dieses Haus habe ich schon besucht.” – I have already visit this house. “Diesen Tisch mag ich sehr gerne.” – I like this table very much. “Diese Frau ist hübsch.” – This woman is pretty. Actually, it’s as easily to form as “der, die, das”. But let’s have a look on a table and it’s declension. Actually, this form of German demonstrative pronouns is not really difficult. Well, as I have told you before already – learn these tables by heart. It’s simply the best way to understand the way you form and use this type of pronoun. Now, let’s come to the next common German demonstrative pronoun. Well, this type of German demonstrative pronoun can be translated by the English term “that” or “those” in the plural form. Of course, “jener” is the masculine form in singular and nominative case. So, the feminine form is “jene” and the neutral one is “jenes”. First, let’s have a look again on some examples. “Zu jener Zeit war alles anders.” – In that time everything was different. “Willst du diese oder jene Fanta?” – Do you want this or that Fanta? Actually, there is not too much to say about that, as you have already an idea how to form German demonstrative pronouns. Nevertheless, we will have a look at the table which will show us the different forms of “Jener”. Now, we come to the last one of the most common German demonstrative pronouns. Finally we have reached the last German pronoun I want to show you. By now, you should already be an expert in forming these pronouns. So, let’s keep it short. Of course, “derjenige” is the masculine and singular form in nominative case. So, the feminine form is “diejenige” and the neutral form is “dasjenige”. Now, we illustrate its use in some examples. “Wer gewinnt das Wettessen? Derjenige, der am schnellsten ist.” – Who wins the eating contest? The one who is the fastest. “Ich habe denjenigen umarmt, den ich am liebsten hatte.” – I have hugged the one I liked most. Well, I think we can stop at this point. Hopefully, you could understand the basic forming of German demonstrative pronouns. Of course, the forms might seem strange to you. But as their principle is quite similar to the demonstrative pronouns in English, you should understand it without too much problems. Please, keep in mind the tables used in this article. Actually, that’s the only way you will master this topic and German language in general: A lot of studying and remembering the exceptions. 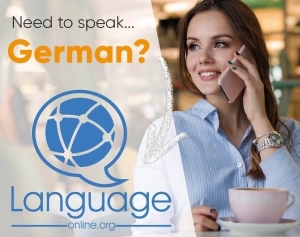 For more interesting topic about German culture and grammar just have a further look at language.easy.org! By the way, this article on wikipedia could give you a good overview about the different types of German pronouns.